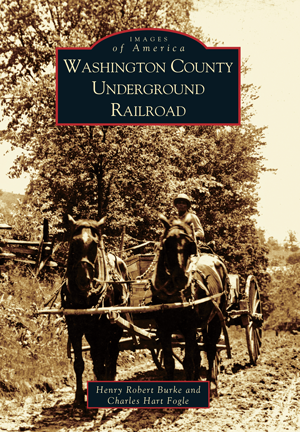 Washington County Underground Railroad explores Underground Railroad activity in southeastern Ohio using rare photographs, maps, documents, newspaper clippings, and historical research. Starting with the first fugitive slave escape routes, this book travels along the Underground Railroad lines into the stations, documenting the experience of the brave slaves fleeing for freedom and those who risked their lives to help them. Veterans of the War of 1812 helped establish the Underground Railroad in the Washington County area and assisted in this secret and dangerous operation for 50 years. Within these pages, authors Henry Robert Burke and Charles Hart Fogle uncover substantial aspects of this remarkable episode in American history-details that were hidden or simply left to words, until now. Henry Robert Burke is an Underground Railroad descendent, a state and national award-winner for his research on the subject, and a newspaper columnist on Underground Railroad history. Charles Hart Fogle, a Quaker descendent, photographer, artist, and author, has worked with Burke for 25 years on Underground Railroad projects and presentations.